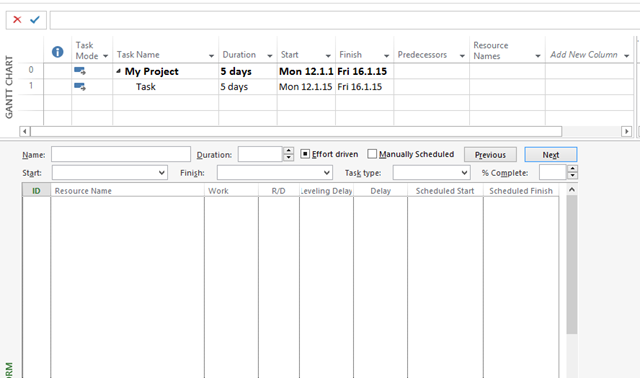 ← Multinational Calendars and how to use them in MS PROJECT 2013? 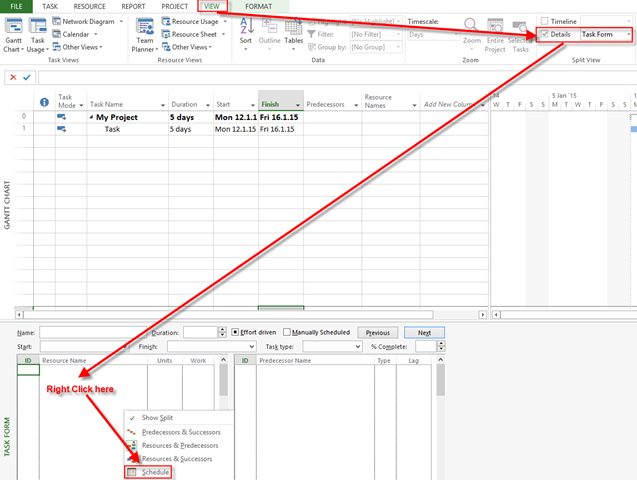 I will explain how to di it in MS PROJECT 2013! As you can see, John will work from Monday till Friday (40 hours) and Mary will work only at Friday (8 hours). I could put 8 hours in Work field for Mary, and then in Scheduled Start Fri, 16.1.2015, and I will get the same result. So easy yet so difficult to find… Thank you Nenad!